With explosive wealth accumulation, UAE philanthropy is beginning to surge. Global Women Leader Maram Ahmed, visiting fellow at the School of Oriental and African Studies, explains why development professionals need to take note of this shift. The United Arab Emirates is an emerging philanthropic power. For over a decade now, the number of philanthropic organizations has been booming in the UAE, as the country has enjoyed economic prosperity. The UAE is not only one of the most affluent countries in the Middle East but in Asia too. 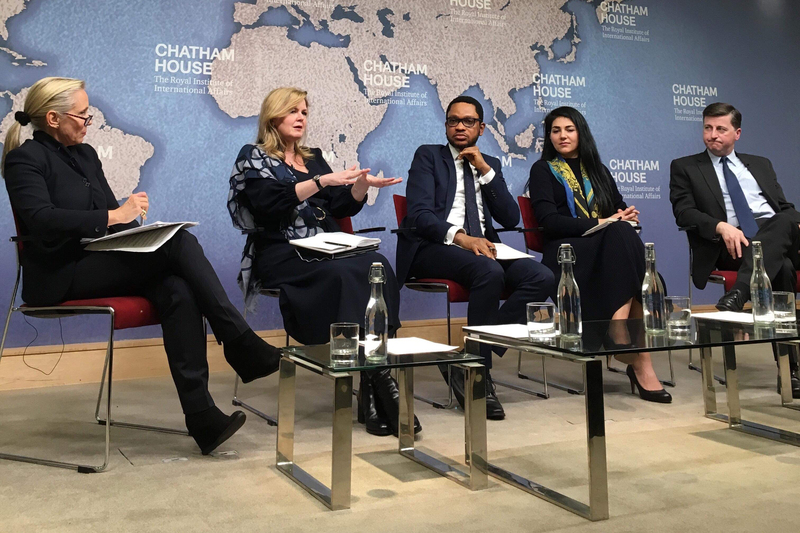 Global Women Leader Trisha De Borchgrave opened the Chatham House session on using public-private impact investing to overcome fragile environments and chaired the discussion on Developing Sustainable Solutions to the Challenges Faced by Displaced Populations and Refugees. It focused on investment in refugees and opportunities for entrepreneurship and the global market. The panellists discussed creating economic opportunities for displaced persons and refugees. Panellists included Global Women Leader Roberta Ventura, Founder, SEP Jordan; François de Borchgrave, Founder and CEO, KOIS; John Kluge, Founder and Managing Director, Refugee Investment Network; Glada Lahn, Senior Research Fellow, Energy, Environment and Resources Department, Chatham House and Lorna Solis, Founder and CEO, Blue Rose Compass. Global Women Leader, Sarah Zeid brought a critical focus to Newborn Health in Humanitarian and Fragile Settings Meetings. In a collaborative workshop of experts including Save the Children US, UNICEF, World Health Organization, UNHCR, the UN Refugee Agency, International Committee of the Red Cross - ICRC, International Federation of Red Cross and Red Crescent Societies - IFRC and major foundations including Bill & Melinda Gates Foundation, The LEGO Foundation and ELMA Philanthropies Maternity Foundation. The meetings had a philanthropy focus, with Global Women Leader Nyra Mahmood leading a discussion on Islamic financial solutions. Kimberly Gire was a panellist for the session on Collaborative Advocacy: A Path to Gender Parity. The panel examined how working together, in partnership with government and industry will generate profound social change and inclusion reform. Kimberly also attended the session “Building Meaningful Lives for Refugees” with Enrique Steiger, Founder SwissCross Foundation. 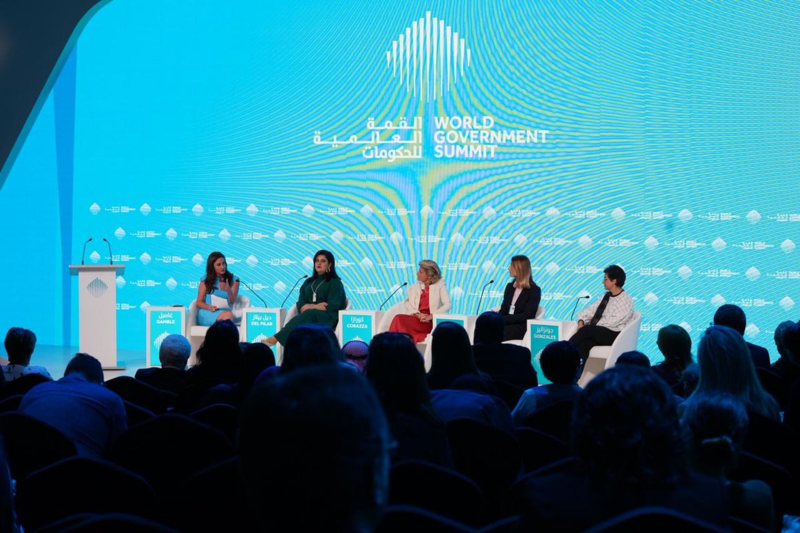 Global Women Leaders Kimberly Gire and Maysa Jalbout attended the World Government Summit - a global platform that sets the agenda for the next generation of governments, focusing on how they can harness innovation and technology to solve universal challenges facing humanity. It functions as a knowledge exchange platform for leaders in the public and private sectors to convene and collaborate with world-renowned experts to create a positive impact for citizens worldwide. Global Women Leader Trisha de Borchgrave moderated an informative discussion on unlocking the potential of refugees and migrants in the Sustainable Impact Hub at Davos. Social entrepreneur and Global Women Leader Roberta Ventura was a panelist and shared the work of the artisan women refugees of SEP Jordan. Kimberly Gire joined panellists from around the globe shared their experiences, success stories and challenges, and developed forward-looking strategies designed to counter social inequalities and empower female leadership. Freelance Journalist Verónica Zaragovia, interviews Kimberly Gire ahead of the BMW Foundation Global Table, on her transition from banker to strategic philanthropist; the role of women in leading change in humanitarian work and; the importance of bringing the private sector and new models to the humanitarian sector. Panellists, including Global Women Leaders Kimberly Gire and Rita Dayoub, discussed the role of impact investment in fragile states. The approach aims to deliver a measurable positive social or environmental change through targeted capital investment to address some of the world’s most pressing issues. The panel was chaired by Global Women Leader Trisha de Borchgrave. Tricia Hobson, who was a panelist for the opening plenary session: Putting gender into technology to accelerate a better future. 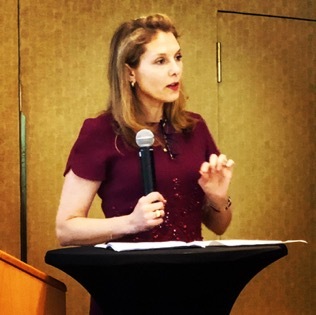 Trisha de Borchgrave, who moderated the session Wellness at Work: technology, loneliness and mental health. Nyra Mahmood, who led the workshop: ‘Entrepreneurship in Developing Countries’. Kimberly Gire, who presented during the plenary session: Be the Bridge. and finally Trisha de Borchgrave, who moderated the session: Safe Harbour: Women’s Leadership in and Beyond Displaced Communities. Panelists included: Global Women Leaders Kimberly Gire and Princess Sarah Zeid in conversation with Dorsa Nazemi-Salam (ICRC). As the global population grows faster and faster, resources are becoming increasingly scarce and the gap between the rich and poor is widening. These developments pose enormous challenges for the global economy. How can we achieve a just and sustainable society? And what role does the financial system play? How could such a transformation succeed? 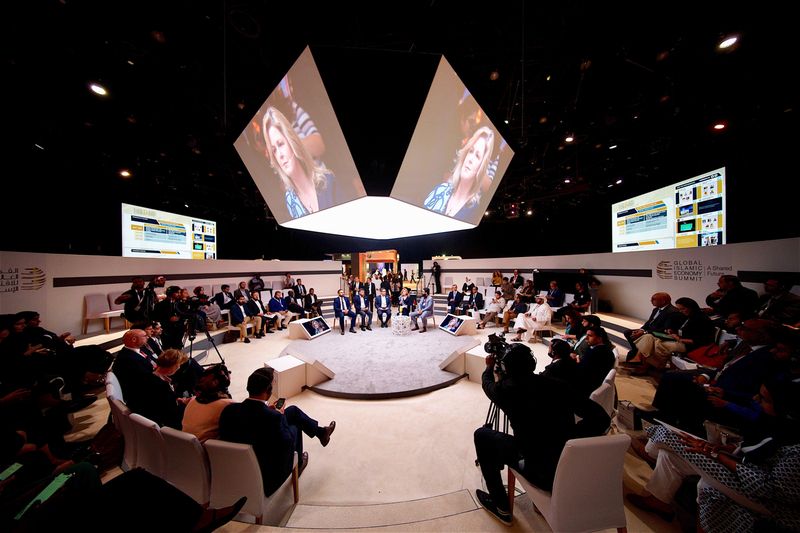 Kimberly Gire was among some 40 international leaders from the finance sector, who discussed ideas and alliances and swapped experiences and expertise on the theme ‘Serving the planet through financial system change’. Emmy Abdul Alim, Editor of Salaam Gateway, interviews Kimberly Gire at the Global Islamic Economy Summit, about strategic philanthropy and what this means for the Islamic economy. Panellists, including Kimberly Gire discussed 'Problem Eradication Philosophy'; exploring mechanisms to coordinate Islamic philanthropy at a global and regional level, and; the role of public institutions in the Islamic economy and the importance of public goods ‘by the people for the people’ to augment philanthropy. Farmida Bi, Partner & European Head of Islamic Finance at Norton Rose Fulbright, discusses the world’s first Humanitarian Impact Bond, developed by the International Committee of the Red Cross (ICRC) with the assistance of Global Women Leaders and the scope for a Shari’ah-compliant equivalent. Introduction by Kimberly Gire, Founder, Global Women Leaders. Themed ‘Leading towards Equal Opportunities’, Kimberly Gire represented Global Women Leaders by invitation, where a select group of global leaders discussed 'ethical governance, equal opportunities, economy, and justice in and between societies'. 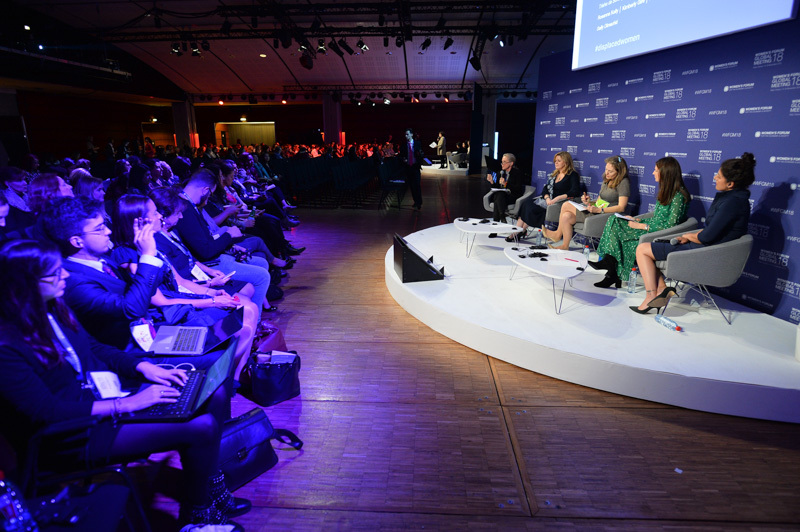 Kimberly Gire represented Global Women Leaders by invitation at the Milken Global Conference, where the theme “navigating a world in transition” was explored. Kimberly Gire spoke on the "Financing Peace: What more Can be Done?" panel. The objective of the session was to present a series of recommendations to improve the effective delivery of financial assistance in countries facing a range of fragility challenges. While continuing its progress in social, political, and economic reforms, how will the Middle East and North Africa (MENA) region execute strategic investments that support its vision for sustainable growth? Kimberly Gire represented Global Women Leaders by invitation at the inaugural MENA Conference, where action-oriented conversations were held with global thought leaders who have a deep understanding of the region or sectors of focus. Themed ‘New Europe: Lead, Follow, or Step Aside’, Kimberly Gire represented Global Women Leaders by invitation, participating in a private session: ‘Unlocking Philanthropic Capital for the Global Goals’. Kimberly Gire and Nyra Mahmood participated in the “Sustainable Finance: Integrating sustainability into the core of a business strategy” breakout session. Kimberly called on the business community to develop innovative solutions to the problems facing humanity. Kimberly Gire also participated in the “Financial and Business Model Innovations for Social Impact” breakout session where she highlighted the incredible potential of innovative finance mechanisms like the ICRC’s Humanitarian Impact Bond (HIB) to address the needs of vulnerable people living in conflict zones. The HIB - which will finance the construction of three physical rehabilitation centres in Africa - is one way in which business can design products to bridge the financial and the humanitarian worlds, “to find both profit, and purpose”. Themed ‘Leading towards Equal Opportunities’, Kimberly Gire represented Global Women Leaders where she presented an overview of the ICRC’s world-first Humanitarian Impact Bond.